It’s the end of the week, so let’s celebrate that it’s Friday by having another Freebie Friday! Today’s freebie is clip art from our game Fish Lake. The clip art is of the character Willow picking flowers. You can see and save the image below. 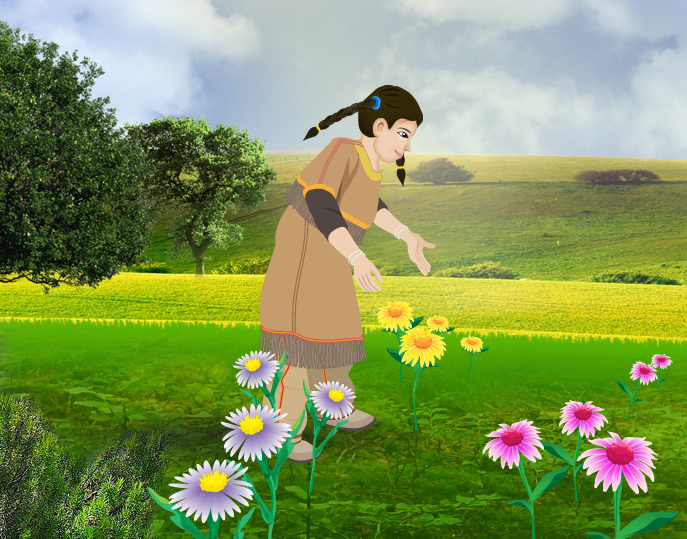 We like to provide Native American clip art for our games, like the one above, because it is often the case that Native Americans aren’t represented in resources such as clip art. That is also why we offer various resources such as powerpoint presentations, historical photos, activities and vetted links for our games on our Teacher Resources page. Feel free to browse our resources page and use those resources to complement the content in our games in the classroom, home, or other educational needs. As always, make sure you comeback next week for another dose of the Freebie Friday! Have a great Mother’s Day weekend! Not ready for Mother’s Day? Well we have the perfect gift for your mom. Read about it here!